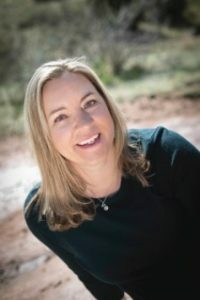 Usually on Monday mornings, the kids and I all stumble into the kitchen, bleary-eyed and trying to figure out what to eat quickly before they head out the door for school. Check that. We stumble bleary-eyed into the kitchen where everyone leaves mom alone until coffee cup #2, and then we figure out what we’re having for breakfast. But today, we had a special little treat. A fun, healthy little snack to go with our usual morning breakfast. 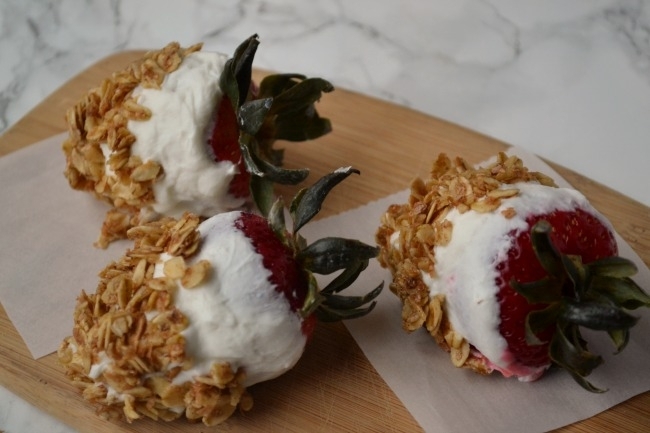 Frozen strawberries, dipped in Greek yogurt and granola. So simple, so fast, and so fun to eat. They’d also be a great mid-day snack (we usually prefer ice cream, but I can only allow that so many times before the guilt sets in and I start thinking I should be providing snacks with at least a little nutritional value but I have no energy and…). You see? These are a lifesaver for times like that. Because these are totally, honestly good-for-you. Fruit. Greek yogurt. Granola. Look at you, nailing this healthy-snack thing. Nice job. If you’d like, you can cut strawberries in half…or leave them whole. Your choice. Dip strawberries in Greek yogurt and place on a plate lined with parchment paper. When yogurt covered strawberries are frozen, dip again in Greek yogurt, then roll the berries in granola and freeze again for 30 min. This post was originally published on BabyCenter. It is shared here with permission.